A&M Heating, A/C, & Refrigeration receives several frequently asked questions from our clients regarding all of the services we provide. Listed below are just a few of these questions and their answers—feel free to contact us with other questions not answered on this page. What should be done for regular heating and air conditioning system maintenance? The most important part of HVAC maintenance is ensures the air flow isn’t restricted. Dirt and dust can get trapped in vents, coils, filters, and other areas of these systems, which lowers indoor air quality and the system’s energy efficiency. Cleaning the filters and other components will ensure your furnace and air conditioner continues to function optimally. Seasonal tune-ups in which the system is inspected for any needed repairs is also important as it can eliminate future breakdowns. What are some signs that my heating or cooling system isn’t working properly? If your furnace or air conditioner is making odd noises, taking longer than normal to heat or cool your home, or you’ve noticed a spike in your utility bills for no apparent reason, you may need a repair service. When any of these things occur, call A&M Heating, A/C, & Refrigeration—our experienced HVAC technicians will find out the cause of the problem and get it fixed as quickly as possible. I have a room in my home that I don’t use often. Should I close the vents and doors? No, and the reason is that furnaces and air conditioners are designed to cool a certain square footage. When you close doors and registers, you disrupt air flow and actually make the system work harder to avoid heating or cooling that area of your home. Fortunately in Ascension, we have mostly mild winters, which means furnaces run far less often than in colder, northern states. 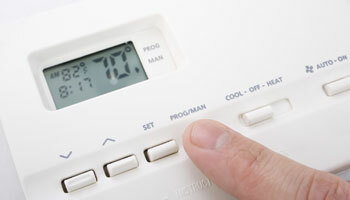 However, a good rule of thumb is to set your thermostat at 68 degrees in the winter and 75 in the summer for optimal energy efficiency and the lowest possible costs to maintain comfort.